Criminals have evolved and are now using technology to steal from you. No longer can you imagine the robber with his swag bag, stripey top and black face mask. There are many ways a criminal can get information from you without you realising until it's too late. Don't become a victim of identity theft and fraud. 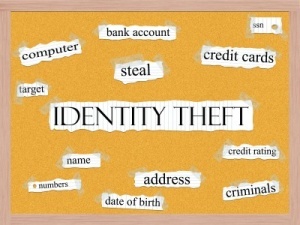 This article offers advice about prevention of identity theft. First of all you need to purchase a good quality cross cut shredder. A cross cut shredder will give you the best security protection. Shredders cost anything from £20 up to £100 depending on what you require. The more expensive shredders can take up to 11 sheets of paper at once and will easily destroy old credit cards and bank cards. Some will also shred compact discs or DVD's which may contain sensitive information. Make sure you shred all unneeded receipts, especially any with payment details on them. If you are disposing of old bank statements or credit card bills make sure they are also put through the shredder. A criminal would have no trouble taking out credit or loans in your name if he finds the information he needs in your trash. Personally, I shred anything that has my name and address on it just to be sure. The Aurora cross cut shredder below is the #1 Best Seller on Amazon in the UK and is highly recommended. A cyber criminal can retrieve personal information from your computer via the internet and again, you would never realise until it was too late. Make sure your computer is adequately defended from attack by installing a good anti-virus product. People always have personal preferences when it comes to anti-virus software but I can recommend software that I use and trust myself. The software I currently use is provided by Kaspersky. This is a great product providing excellent protection for your PC against viruses, malware, browser hijacking and more. A feature that is becoming increasingly useful is a safe banking or secure option which protects you when using Internet banking where it is vital the information is secure. The latest Kaspersky software is available on Amazon. I have added the product below. If you think your computer may already be infected with viruses or spyware contact PC Guardians to have it cleaned up and checked out. Never accept file downloads or open email attachments unless you know they are from a trusted and reputable source. One click on the wrong file is all it takes to compromise your security. Do not sell or dispose of your computer without reading our information about hard drive disposal first. This information could help prevent you becoming a victim of identity theft.